On Thursday, Governor Scott Walker called a special session of the legislature to address the ongoing opioid crisis in the state. “This is a public health crisis, and that’s why I’m calling a special session of the Legislature and directing state agencies to ramp up the state’s response,” Walker said. Giving school nurses legal immunity if they administer naloxone, an anti-overdose drug. Providing some immunity for individuals who overdose in an effort to not discourage people with them from calling 911 for fear of prosecution. Requiring prescriptions for cough syrups containing codeine, which is an opioid. Permitting the UW System to create addiction recovery charter high schools, which combine traditional schooling with substance abuse treatment. 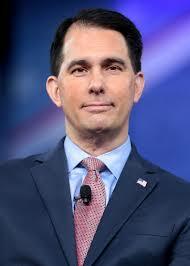 Additionally, Walker directed a number of state agencies to assist in combating the epidemic. For example, Walker ordered the Department of Corrections to more proactively recognize and treat drug abusers during both prison sentences and after release, and he directed the Department of Veterans Affairs to take action in protecting against overprescribing opioids in veterans’ homes.